While in the middle of my month-long workshop “How to Become a Wedding Photographer”, it got me thinking about when I first started out in the industry. 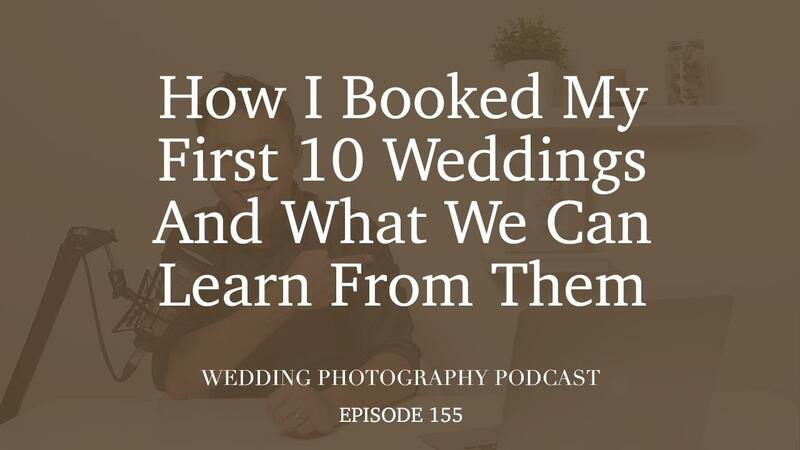 So in this podcast episode, I thought I’d share with you how I booked my first 10 weddings and some of the lessons we can all take away from it. I’ll reveal how the couples found me and how much I was paid, as well as exactly what was in their wedding photography packages. I’ll also share with you some of the strategies I used to book weddings during those early years and the insights I’ve gained from my own humble beginnings. It’s a reminder that we all have to start somewhere and will hopefully provide motivation to those looking to give their wedding photography business a kickstart. If you’re needing more inspiration, you can watch my recent two-day free masterclass at teamsiwp.com/bookmoreweddings.